Summer is officially in full-swing and I'm excited about it and decided to share my joy with you. This offer is only good for session booked and take place in the month of July 2010. Getting married this July 2010? Still counts. 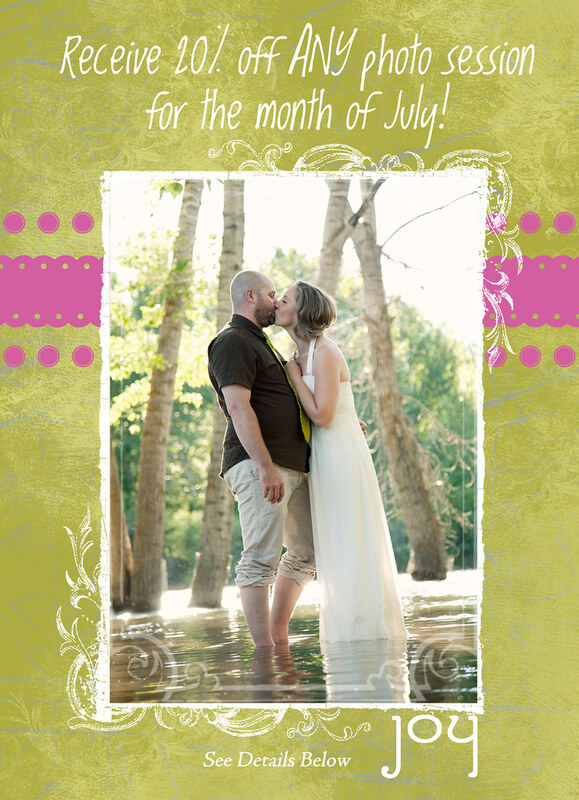 All sessions are subject to sales tax and a 50% deposit in order to book the date. Sessions will be booked on a first come, first served basis.